The greatest Hindu festival – Dashain is here, and it’s all pumped up to fill our lives with immense happiness and jolliness. 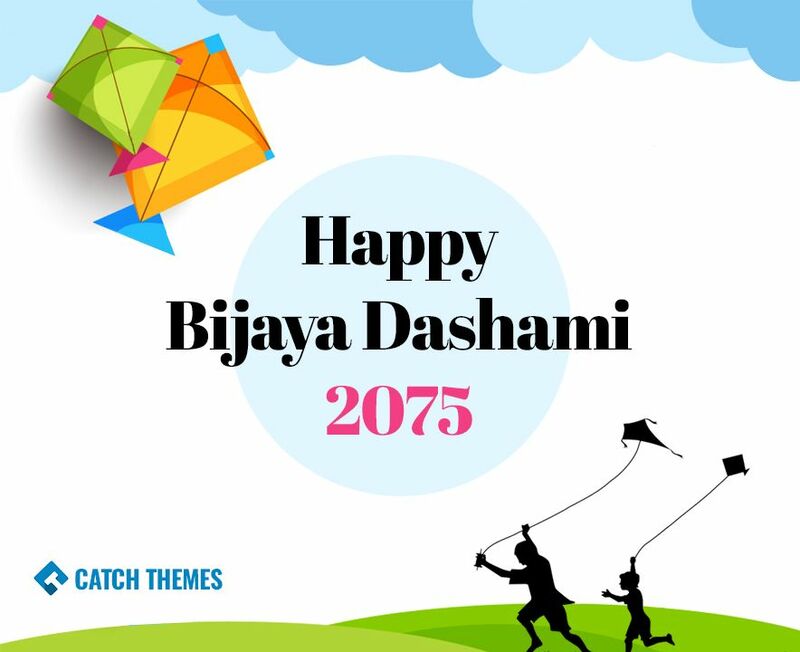 So, on this merry occasion of Dashain, we, the Catch Themes family would like to wish everyone a happy and prosperous Vijaya Dashami 2075. Dashain—also known as Vijaya Dashami is a fifteen-day-long national festival of Nepal and is the biggest festival of the Hindus all over the world. During Dashain, we, Nepalis, take time to celebrate our culture and our relationships. Playing friendly matches of cards, getting new clothes to wear, tonnes of gifts, flying kites and celebrating the holidays with relatives is the definition of Dashain for fun. So many memorable moments are created during this festive season. We, Nepalis, are family oriented, peace and fun loving people and Dashain is one time where we engage in all three of our interests. Therefore, to celebrate this beautiful festival with all our heart and an open mind, we will be taking a week off starting 16th October and enjoy our time with our family and friends. We will be providing support nevertheless, but not as promptly. 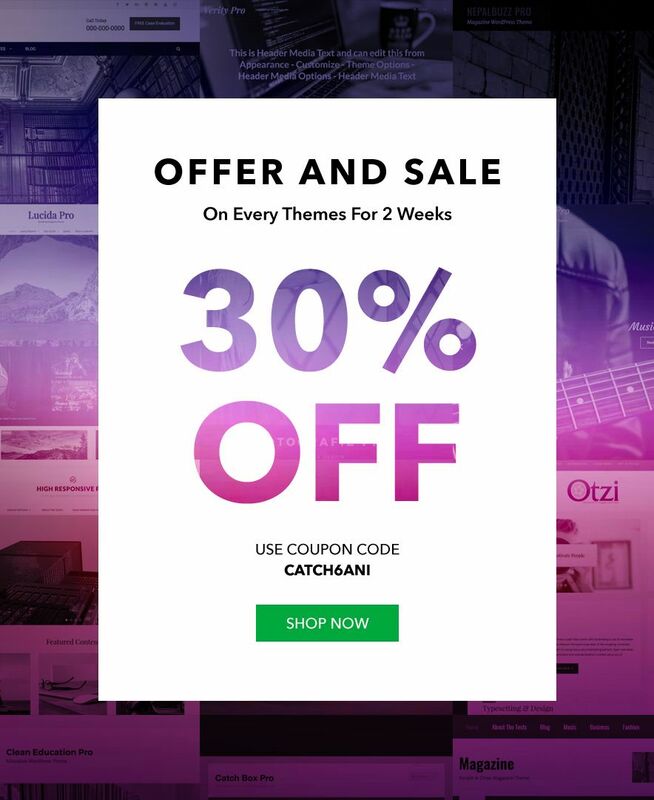 We also have something for our customers on this delightful occasion of Dashain—we’re offering 30% Flat Discount on all of our premium WordPress themes and plugins. Please use our 6th Anniversary Coupon Code CATCH6ANI at the checkout page. On behalf of the whole Catch Themes team, we wish you a very prosperous and happy Vijaya Dashami 2075. Have fun and be safe.